April 2016 - SteelSeries, leader and innovator in gaming peripherals, announces the availability of the SteelSeries Apex M500, a tournament-ready mechanical keyboard outfitted with Cherry MX Red gaming switches and SteelSeries Engine customization software. 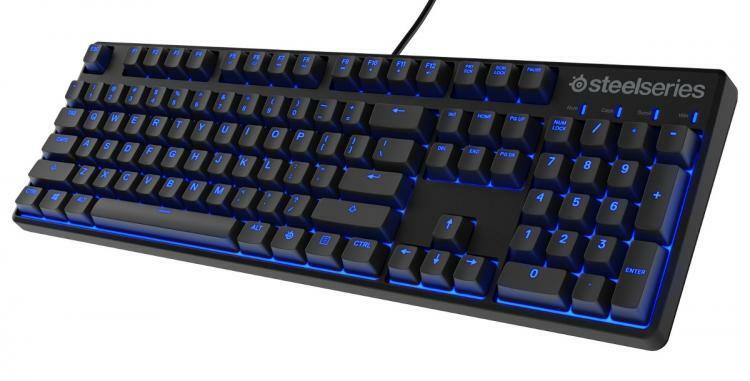 Available for $99.99 / €119.99, the ultra-durable Apex M500 also features a traditional key layout for universality, Anti-Ghosting technology and blue LED backlighting. The #1 preferred choice of pro gamers worldwide, Cherry MX Red mechanical switches provide remarkable consistency and durability. With the worlds best switch rating for gaming and a 50 million press guarantee, Cherry MX keys continue to be an essential part of any gamers arsenal. SteelSeries Apex M500 mechanical gaming keyboard is available directly from SteelSeries at https://steelseries.com/gaming-keyboards/apex-m500.